The Nigerian pastor who played a central role in the conversion of a young Muslim woman to Christianity has denounced the response of the country’s security services, from which he alleges he has received death threats. 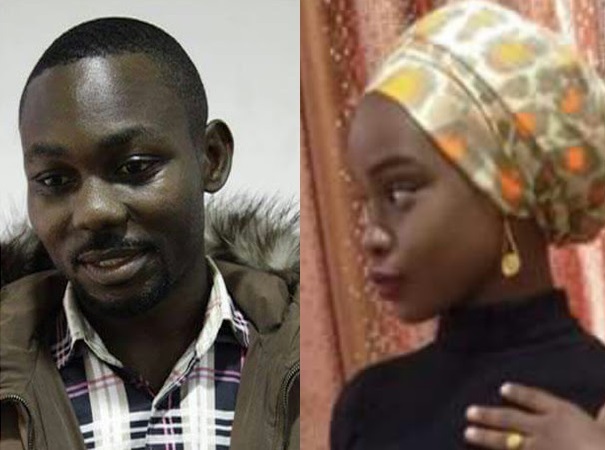 The first response of the Nigerian Department of State Security Services (DSS), in January, had been to arrest the woman, 19-year-old Nabila Umar Sanda, and her friend, Simput Dafup, 33, who had introduced her to the pastor, Jeremiah Datim. Speaking to World Watch Monitor in May, Datim said the pair were released after ten days, but only after they had been tortured. He said the young woman was then returned to her parents – who had reported her conversion to police – and kept under surveillance. After two months she escaped and went into hiding. The woman later posted a message on Facebook, saying she’d converted to Christianity out of free choice after having “an encounter with Jesus Christ” and that “no-one forced me into Christianity”. “I was the Muslim lady that got converted to Christianity, which became a thing of controversy in Jos that has led to the DSS arresting and molesting many people. “I want to begin by thanking the Christian community for standing strong by me, especially defending me in the media and praying for me and my discipler, Simput Dafup, who was severely tortured for my sake. “I just want to state some facts: I am above 18 years of age, a university student, and I have travelled to a couple of countries in different continents. “I have asked so many questions about Islam and Christianity. I have had an encounter with Jesus Christ, before I met Simput, where Christ told me that He is the way, the truth, and the life, and that no-one can come to the Father except by Him. “I am stating here that no-one forced me into Christianity. It is my choice after discovering the truth. Simput only helped in answering some of my questions by sharing the Gospel with me. “We are now on the run for the sake of Christ; please pray for us. Following the pair’s release, the pastor alleged that he has received several threats to his life from the security services. “They also tried to reach Simput, but he was also at large. He had left home, and his mother – a widow – could not reach him either. According to the pastor, Nabila was withdrawn from the university and kept under the close watch of her parents in Abuja, the Nigerian capital. But on 24 March she escaped and is still missing. Datim said his ‘freedom’ has since then been denied, as he is not able to see his family, who now live in a different place from him. He added: “In recent times, I no longer only receive calls from security agents; I also get threat calls from Islamic clerics, all threatening to kill me.